Pearl powder, licorice extract, hyaluronic acid, etc. This silky, smooth BB is developed using the finest ingredients that effectively corrects any forms of blemishes and skin irritations to prevent future breakouts, resulting in the delivery of a radiant glow upon light application to the skin. 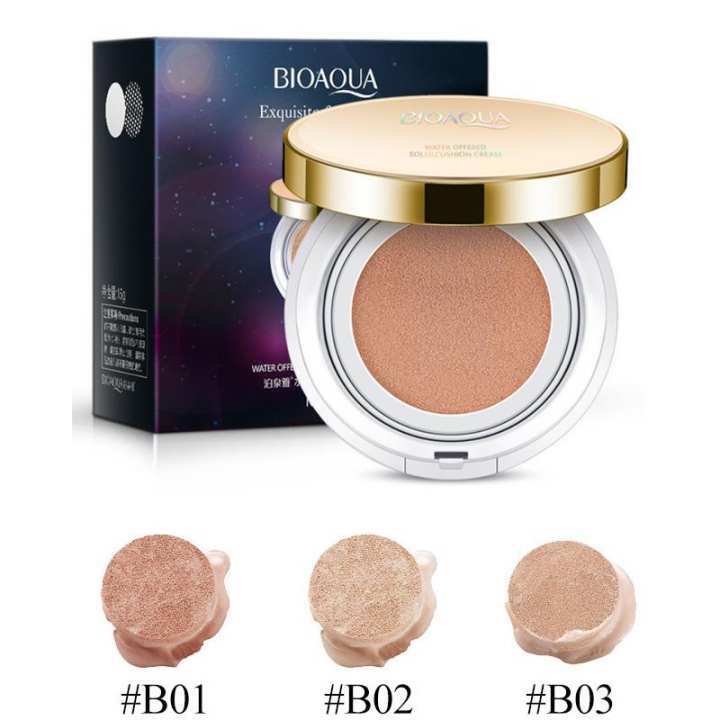 BIOAQUA snow Air Cushion BB Cream made by premium material. It is safe, organic, vegan and cruelty-free. Brightening, Anti-Wrinkle, Making your skin moisturized and dewy. Natural and vital color makes your skin tone gorgeous. Tightly attached to your skin evenly. Pore-Minimizing, Hydrating. Making your skin moisturized and dewy. Natural and vital color makes your skin tone gorgeous. Tightly attached to your skin evenly. Portable and convenient to use. You can put it on your cosmetic bag or handbag. Suitable for travel use or home use. Improves the condition of the pores for flawless skin. May the women be more powerful under the influence of e-commerce! ‘Nandini’- A new project of Daraz to ensure the economic and social advancement for women. We are the actual powerhouse of e-commerce. We are not fictional characters, we are real life ‘Wonder Women’! Observing the active participation and direct contribution pattern of the women in the field of e-commerce for the past 4 years, Daraz has taken the initiative to work with women exclusively through ‘Nandini’ to educate and empower them." amar product ekhno send korenni kno?8tarik order kresi. ekhne Order korlam Bogura theke.valovaby pack kre diyen plz.